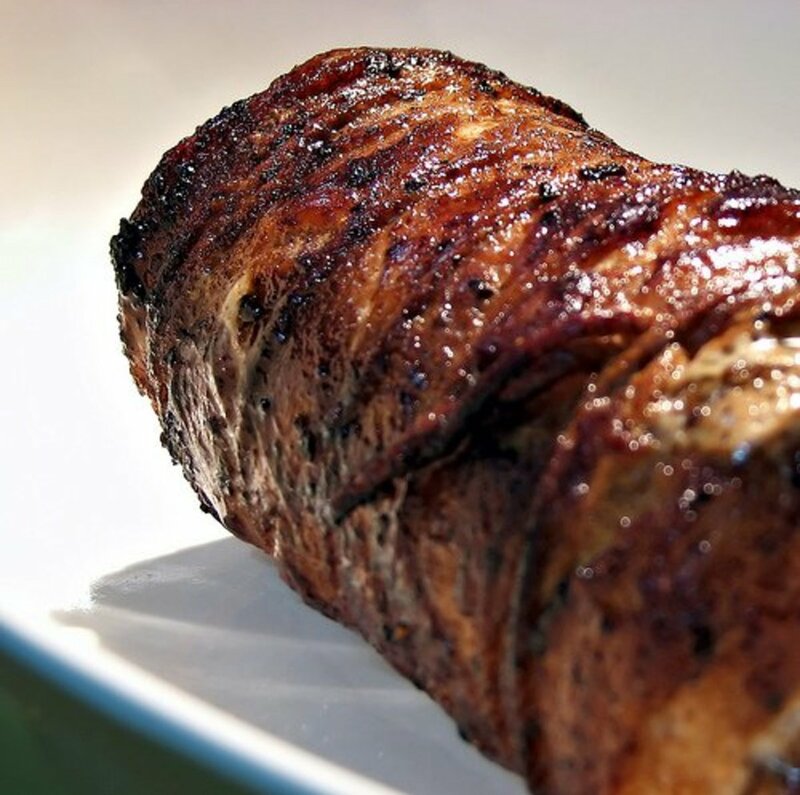 Duck is often perceived to be greasy, fatty, overly tough - or even all three! 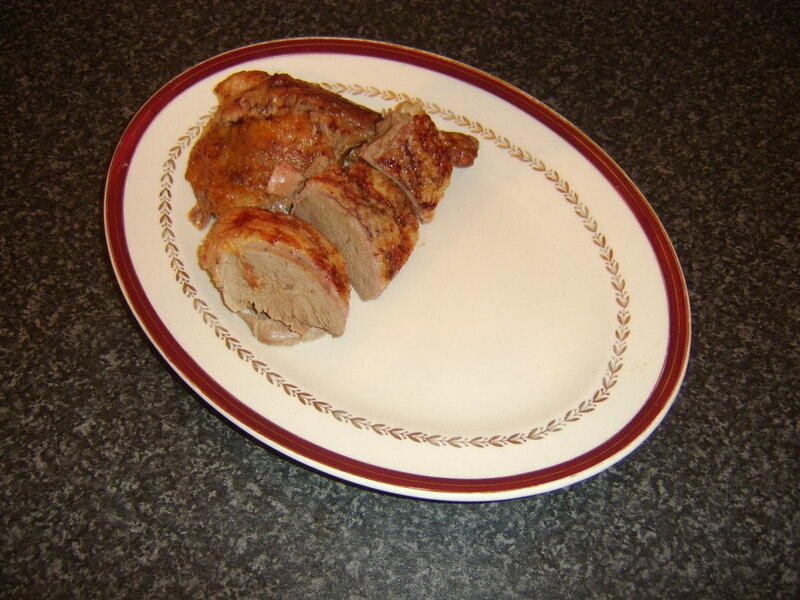 Where duck is cooked properly, however, it can be deliciously tender and though perhaps that little bit more substantial and fattier than either chicken or turkey, at least every bit as enjoyable. 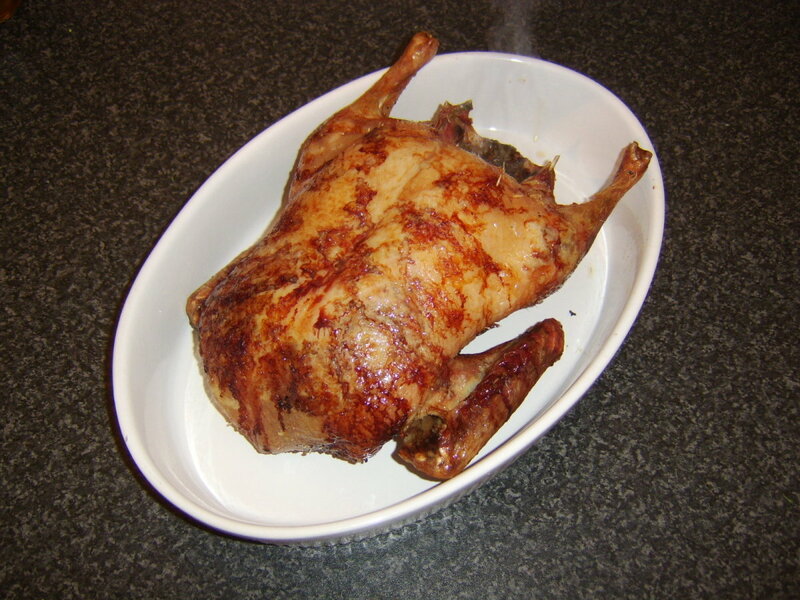 Although a whole duck can very effectively be grilled or barbecued outdoors, when it is cooked indoors, it should be roasted in the oven. This incredibly simple recipe sees it cooked with a basic clementine orange and thyme stuffing before being served with both mashed and roasted potatoes and broccoli. 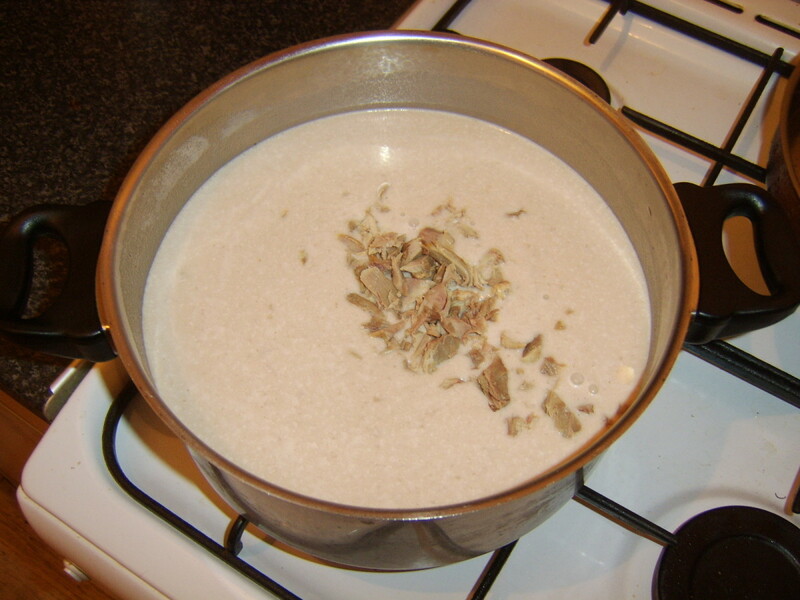 As an added bonus, this page will also show how to make duck stock from the carcass of the bird and thereafter a delicious duck and chestnut soup. 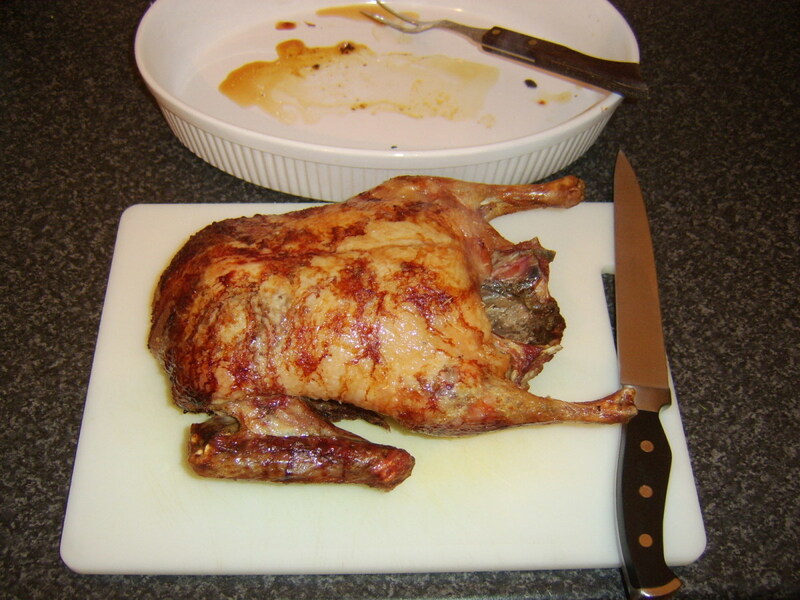 If your duck is frozen, remember it is vital to defrost it completely in an appropriate dish in the bottom of the refrigerator before it can be cooked. This is likely to take at least twenty-four hours. 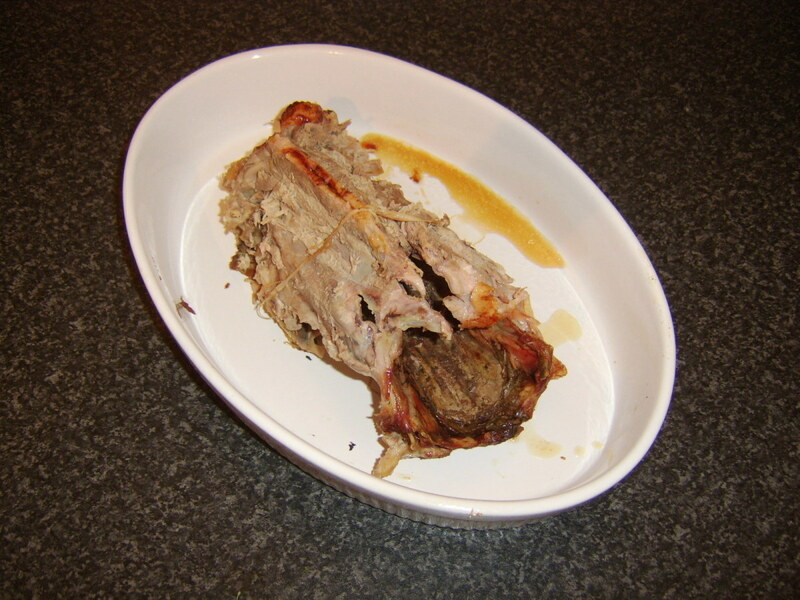 It should then be removed from the refrigerator and left for a couple of hours to reach room temperature. 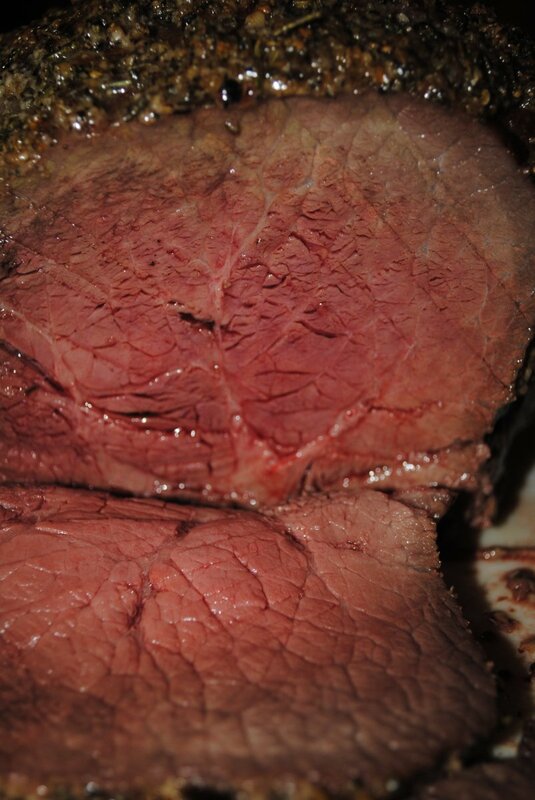 Put your oven on to preheat to 400F/200C. 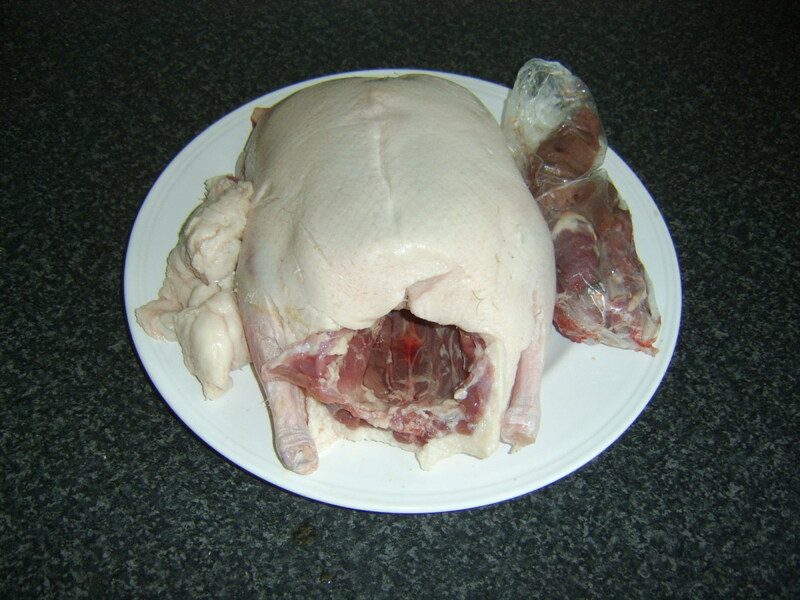 Remove any and all packaging from the duck and above all, remember to take the giblets out of the belly cavity. You may also want to cut away the excess loose skin and fat from around the opening of the cavity. Wash the duck in cold water and carefully pat it dry with kitchen paper. 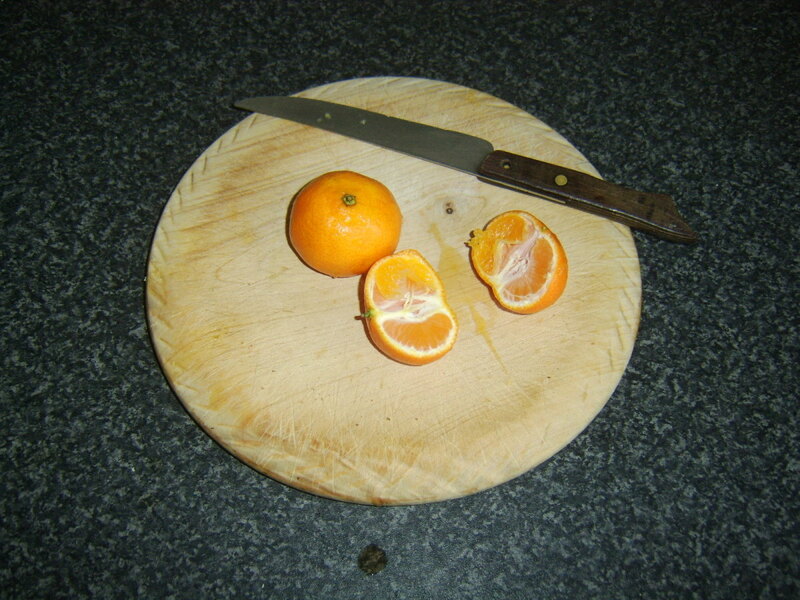 Season the inside of the cavity with salt and pepper and stuff with the four clementine halves and the dried thyme. 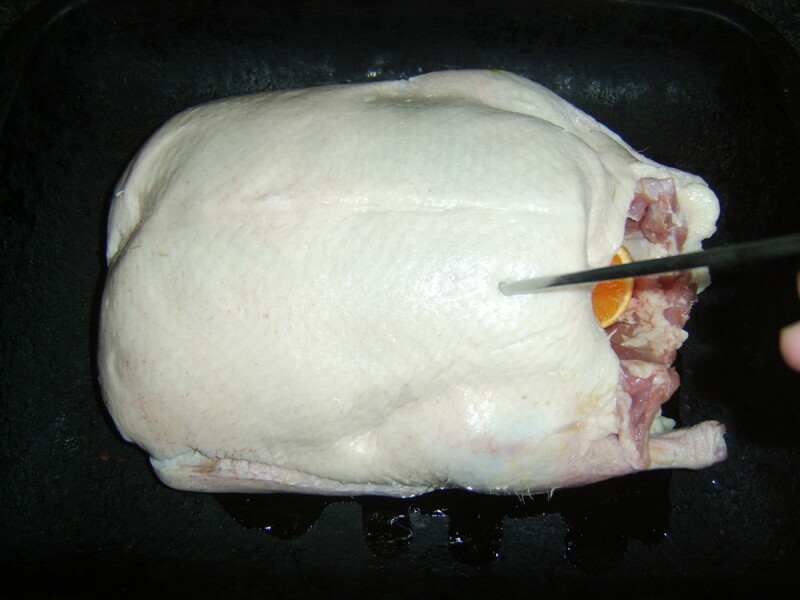 Weigh the duck after it is stuffed to establish the cooking time which should be twenty minutes per pound and twenty extra minutes. 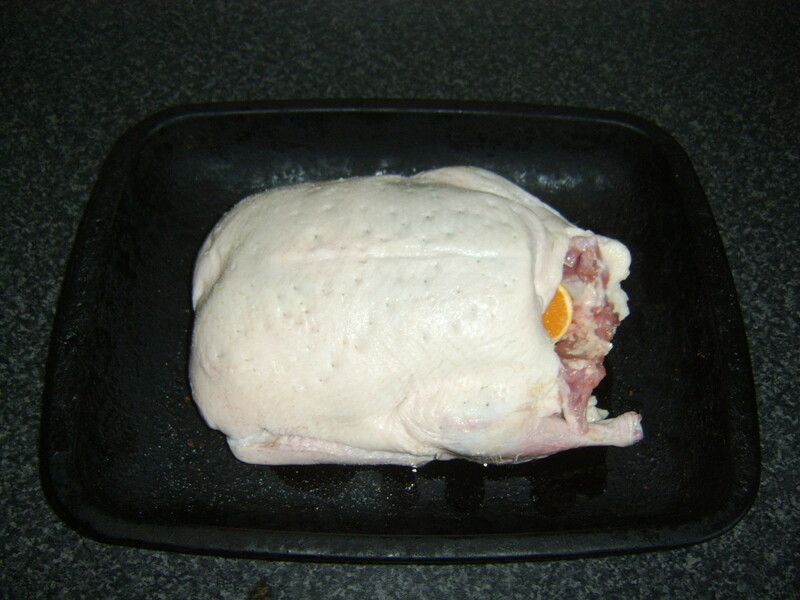 Lightly oil a roasting tray and sit the duck in the centre, breasts side up. 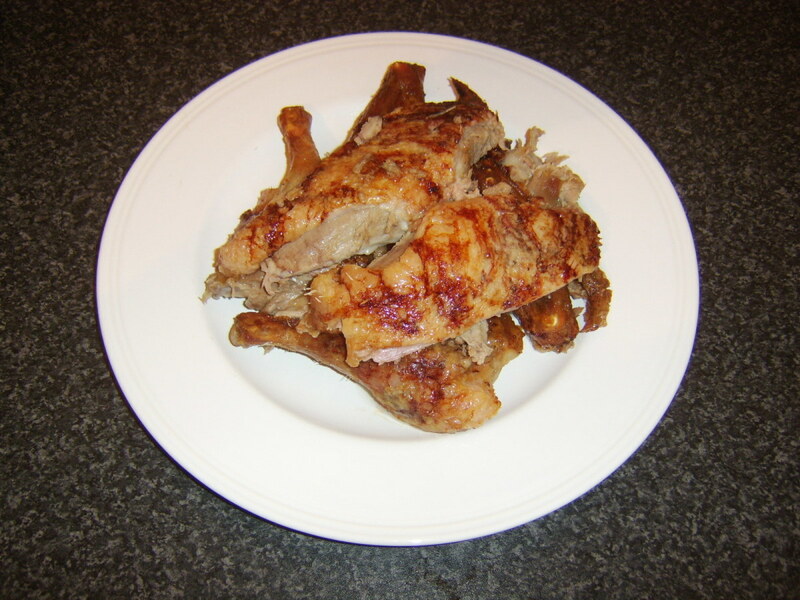 Use a metal skewer or large needle to pierce the skin of the duck, all over the breasts and thighs. This is to allow the skin to crisp up. 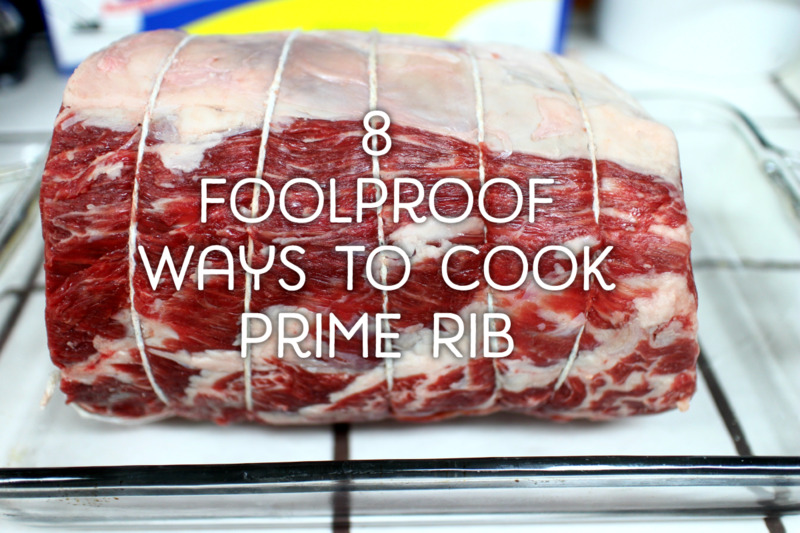 Be careful only to go through the skin, however, and don't pierce deep in to the meat. Season the surface of the duck well with salt. 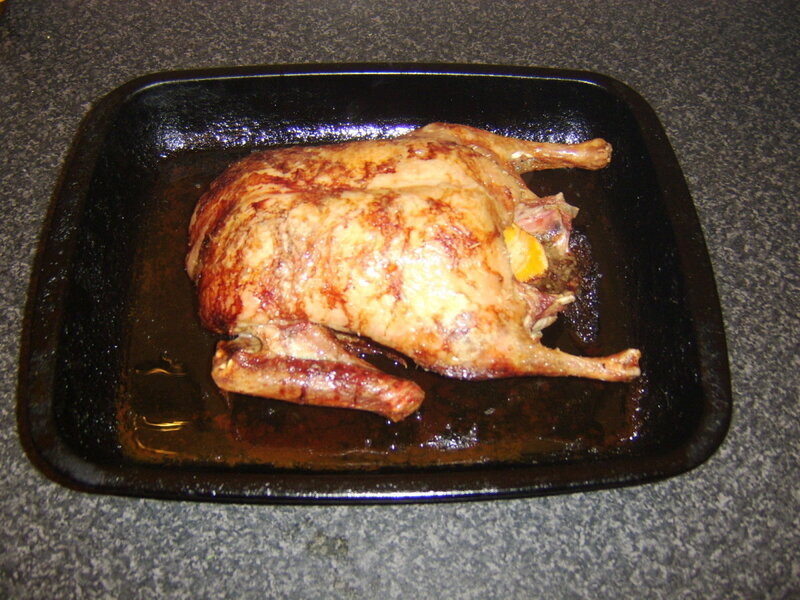 Put the duck in to the oven and leave it alone to cook for the allotted time you have established from its weight. 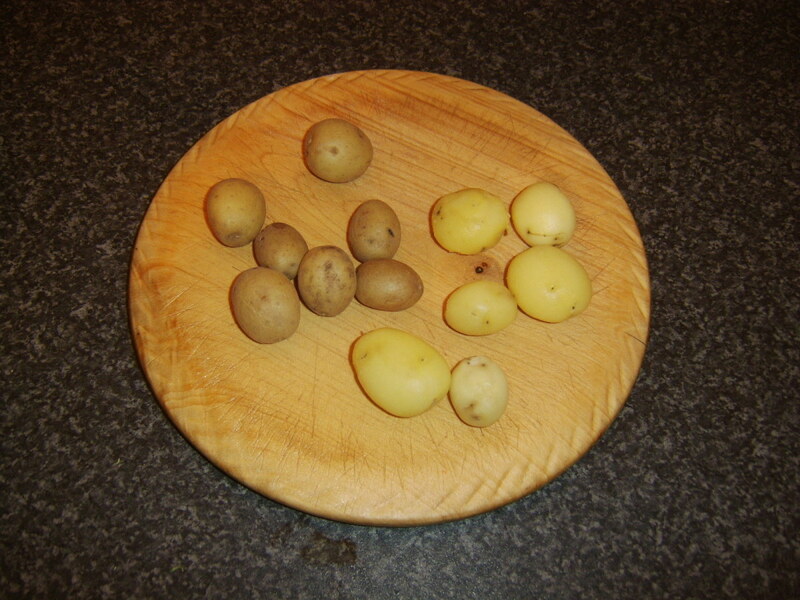 Put the baby potatoes in to a pot of cold salted water and bring the water to a simmer for twenty-five minutes. Drain, return to the pot, cover and leave to cool completely. 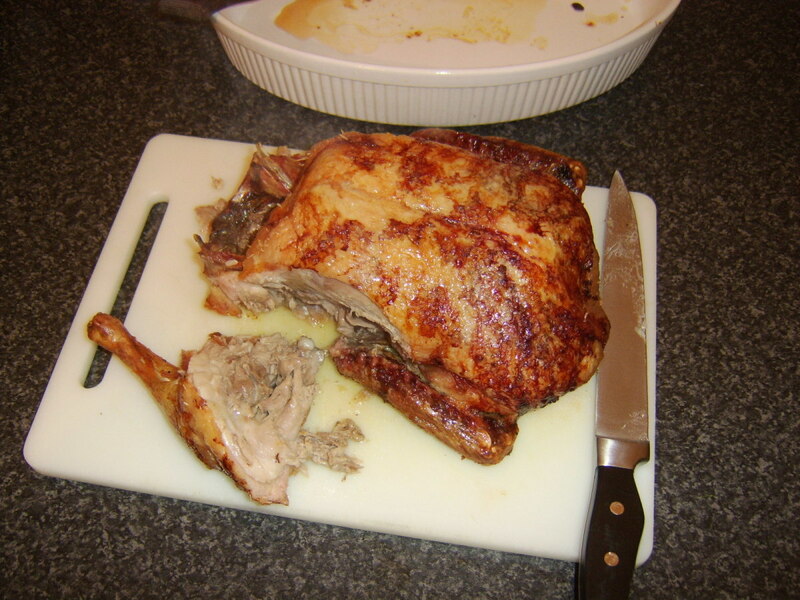 Take the duck from the oven and pierce the thickest part of the thigh to ensure it is ready and the juices run clear. 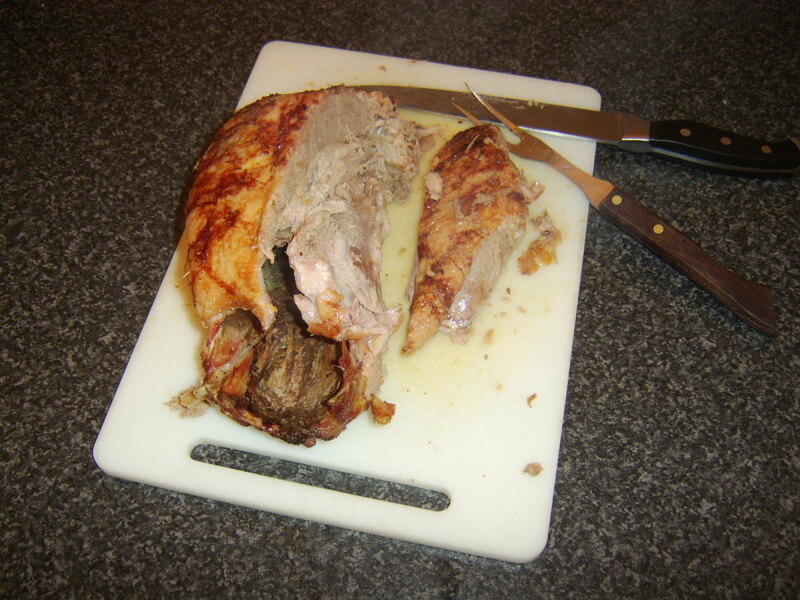 Very carefully, lift it with two large carving forks or slotted spoons to a deep dish to rest for twenty to thirty minutes, being sure to tilt it and let the juices from the cavity run out in to the roasting tray. Peel and roughly chop the large potatoes. 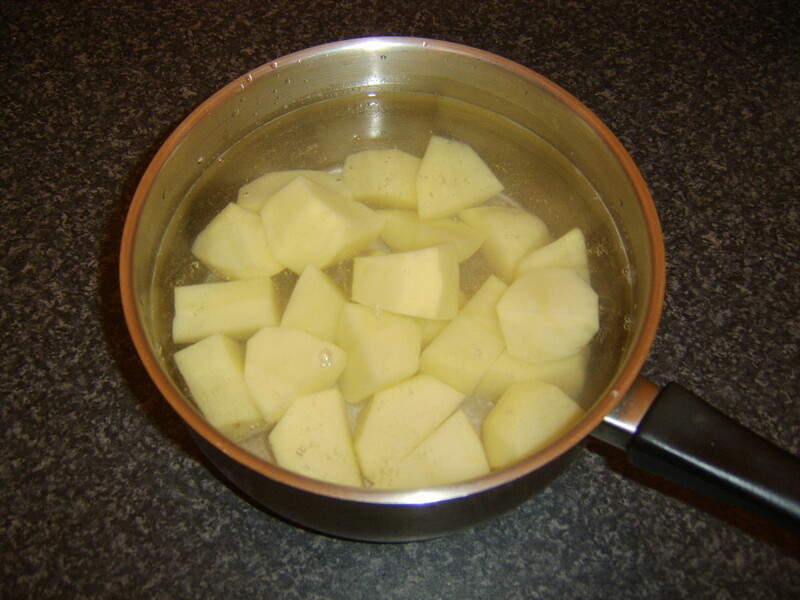 Bring to a simmer in some lightly salted water for about twenty minutes or until soft. 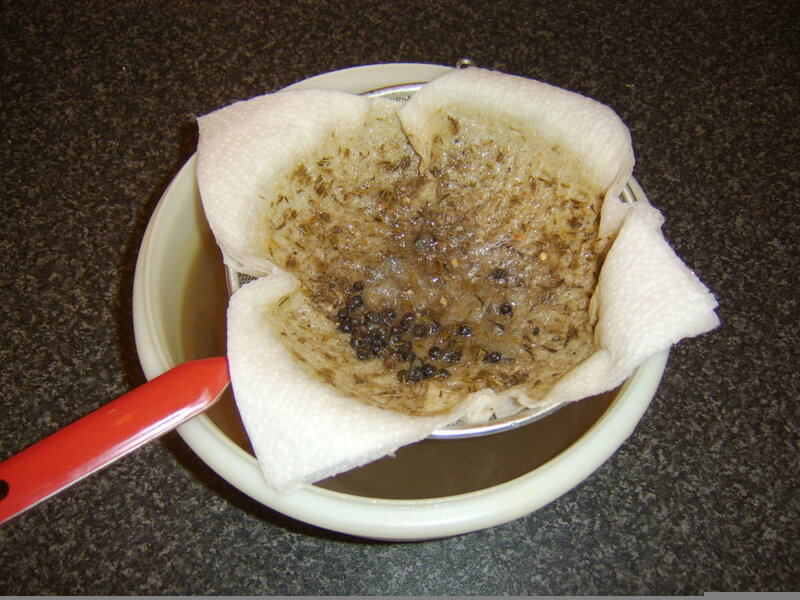 Drain, return to the pot and leave to steam for a few minutes to get rid of the excess moisture. Mash with the butter and some white pepper. 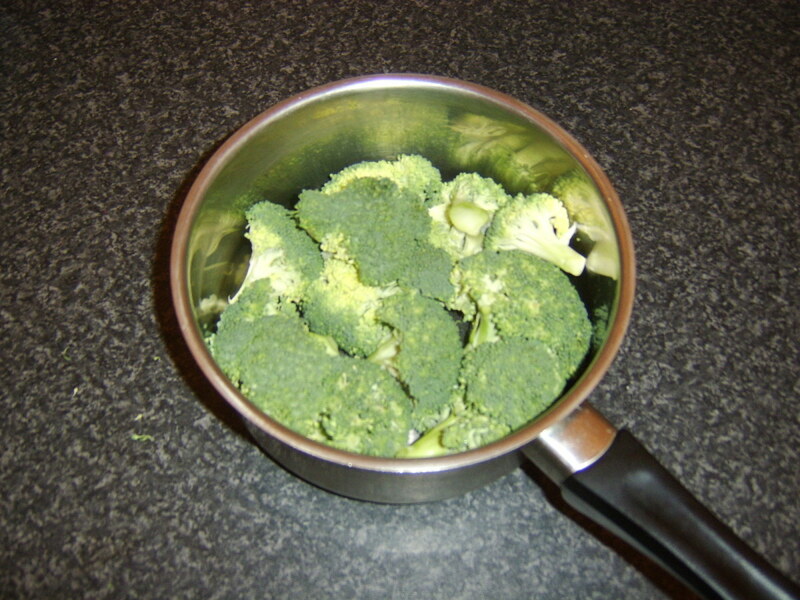 Break the broccoli in to florets and simmer in boiling, salted water for ten minutes. Drain through a colander. Peel the skin off the cooled baby potatoes by hand. Deep fry in hot oil for five to six minutes until crisp and golden. Drain on kitchen paper on a plate. 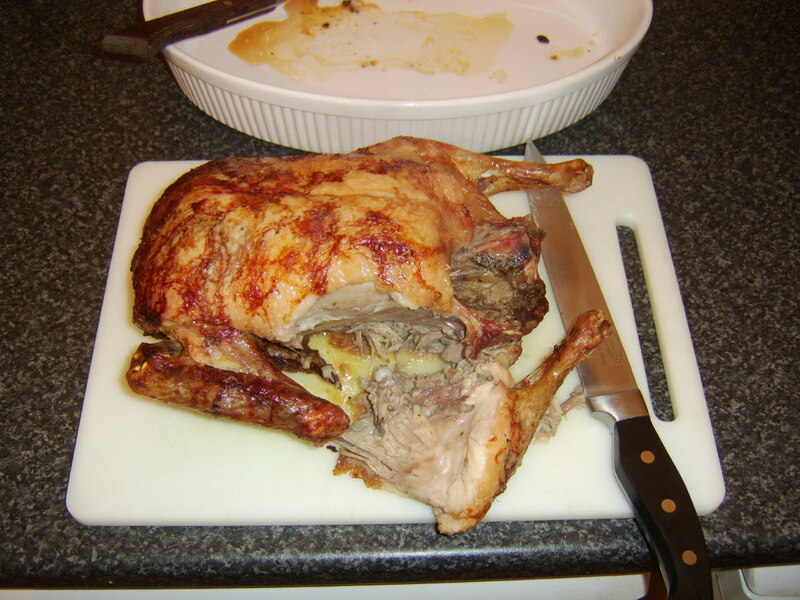 When the duck is rested, use a carving fork to remove and discard the orange halves. 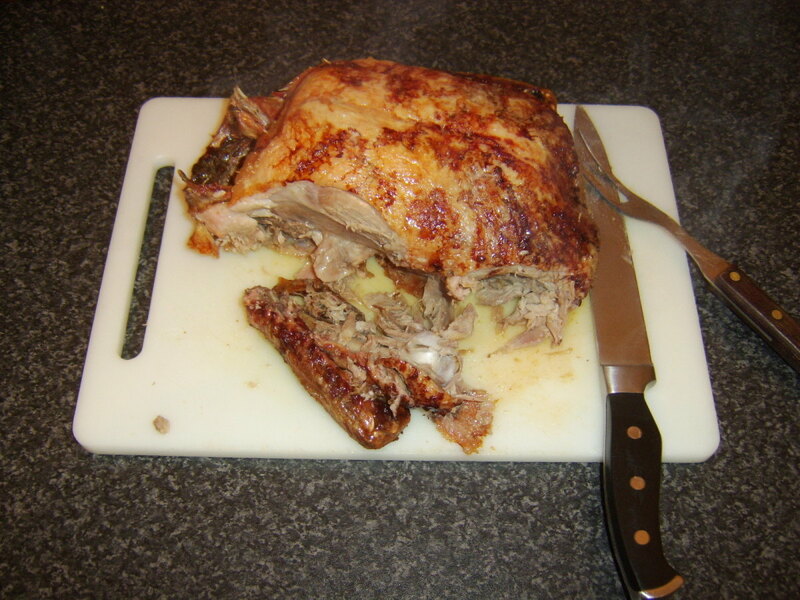 Lift the duck to a chopping board for carving. Cut the legs off first. 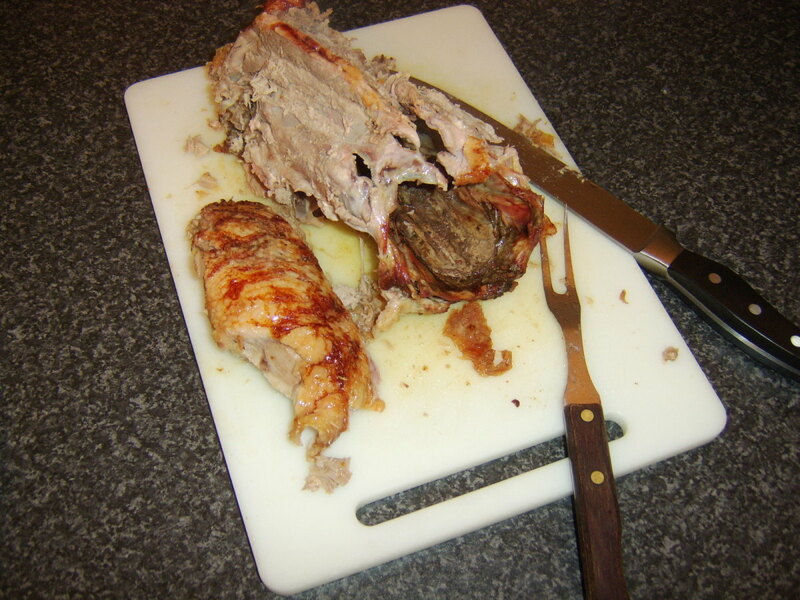 Hold the bird steady with the carving fork and cut through the flesh all the way around the first leg until the bone can be popped free and the leg lifted away. Repeat with the second leg. The wings should be removed in the same way but are a little bit more awkward. 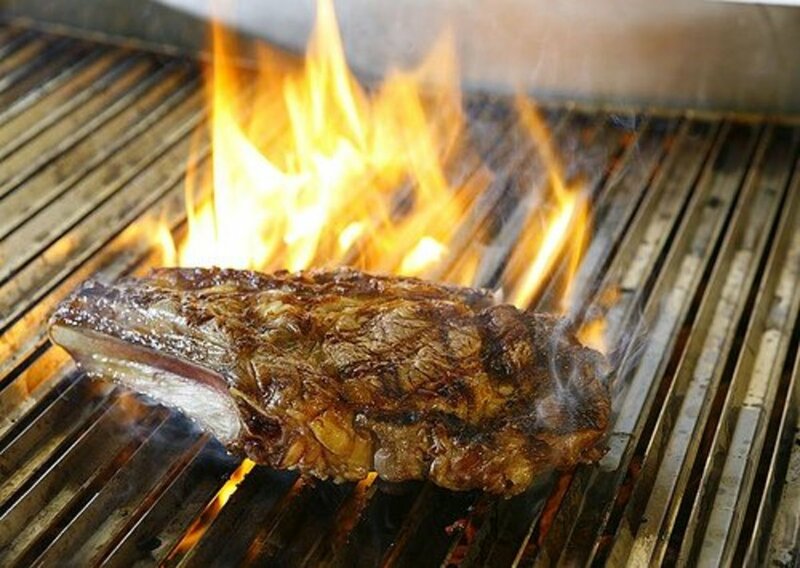 Starting immediately to one side of the top breastbone, cut through the flesh, allowing the knife to be guided by the bones, until each breast fillet in turn can be removed. 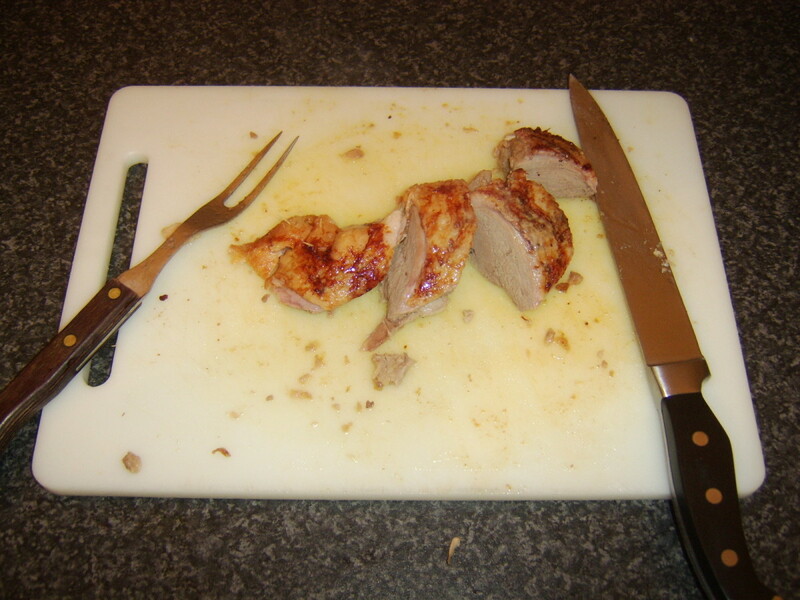 Cut each breast fillet across the way in to four or five thick wedges. 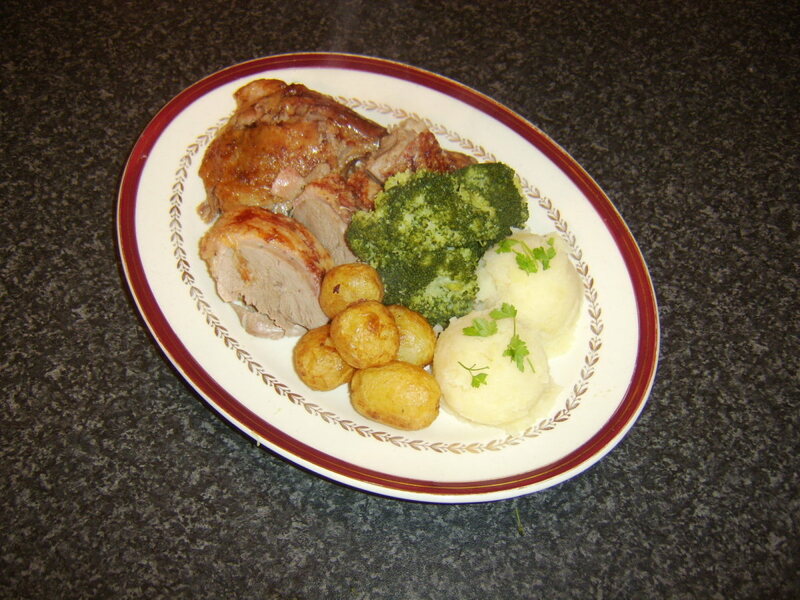 Plate the duck, the potatoes and the broccoli. Garnish will a little chopped parsley immediately before service. 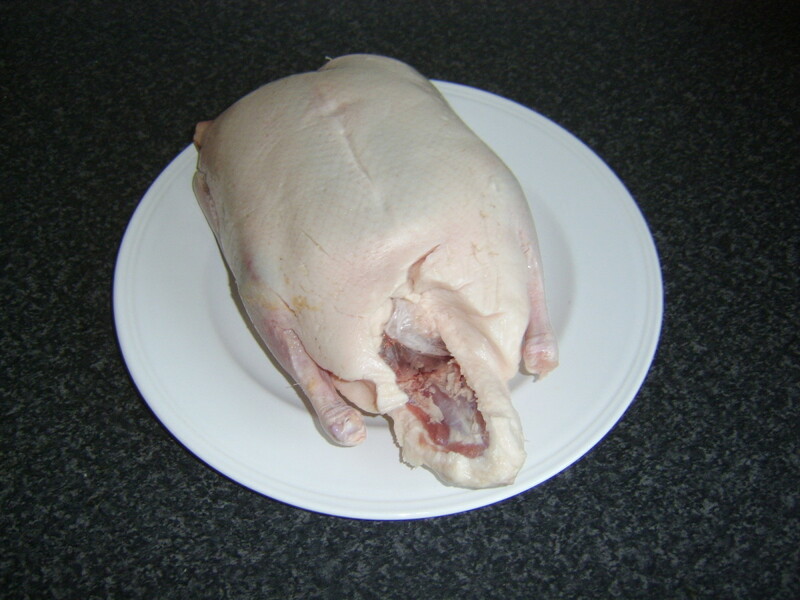 When a duck has been carved as described above, their will be a reasonable amount of meat left on the carcass. This meat can be picked by hand from the bird and used for any one of a number of later purposes, while the bones of the carcass can be used to make delicious duck stock or broth. 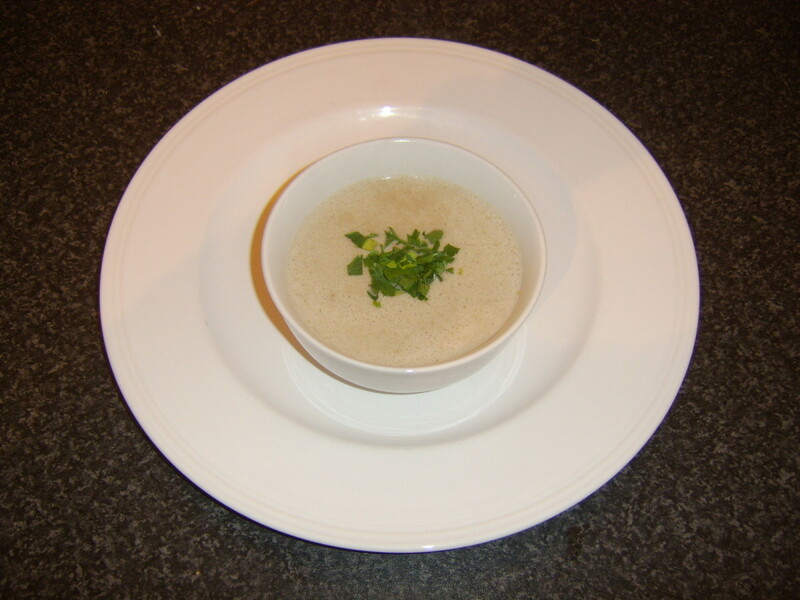 Below you will find instructions for making firstly duck broth and subsequently using it to make a cream of chestnut and roast duck soup. 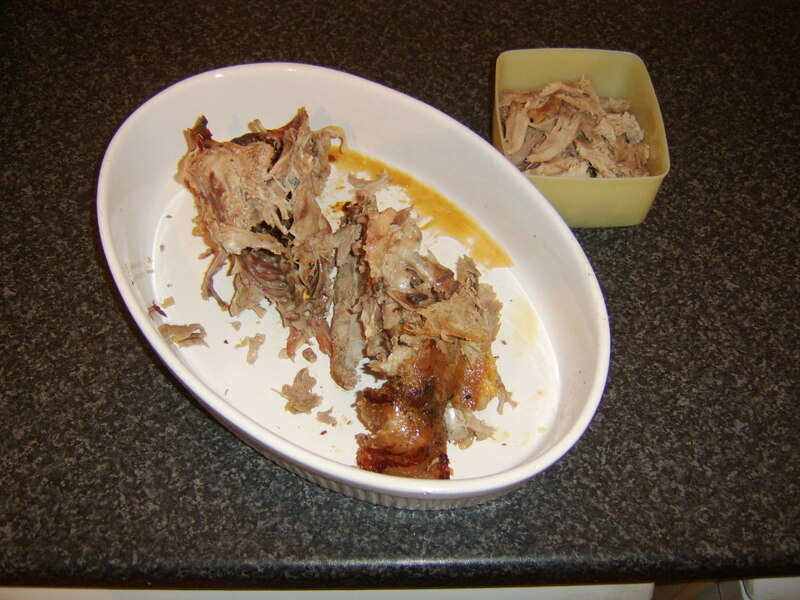 Pick the remaining meat from the carcass and store in a plastic container in the fridge. 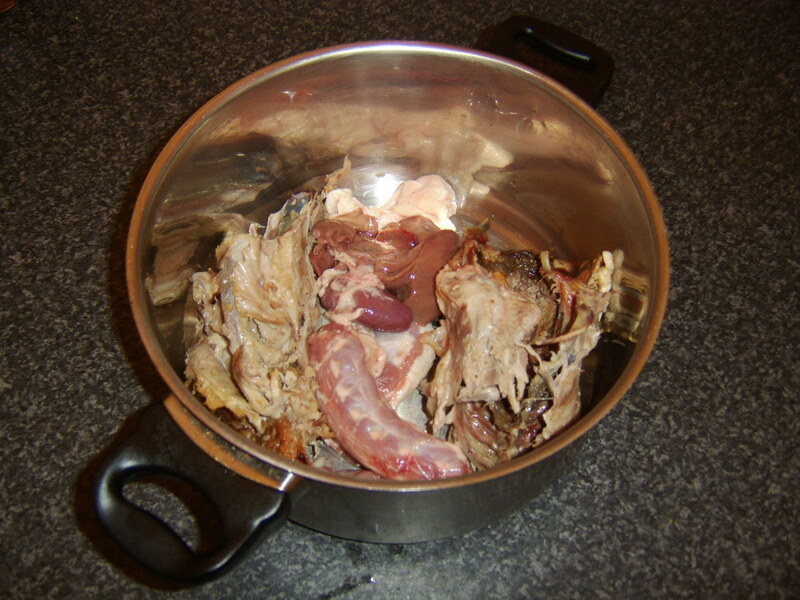 Place the carcass in to a large stock pot along with the giblets and fatty skin earlier taken from the duck. Add the vegetables and seasonings and pour in enough cold water to completely cover all the solids. 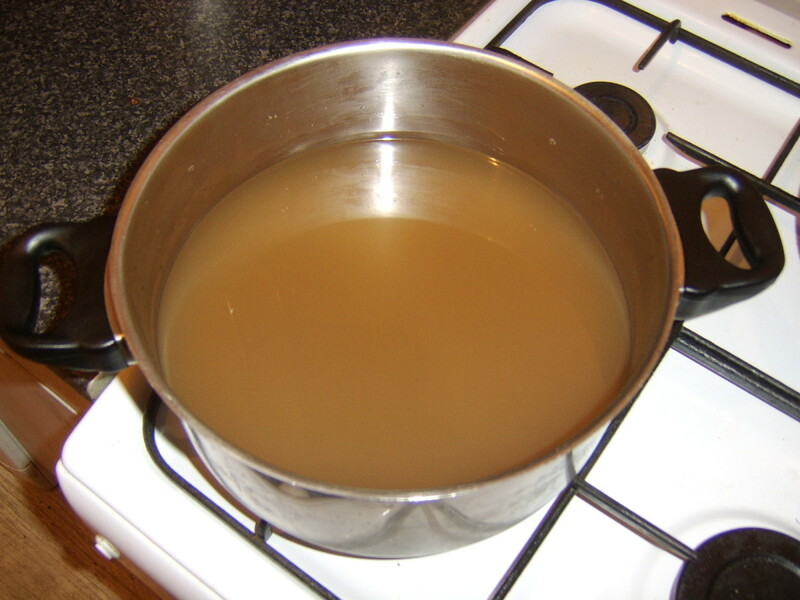 Put the pot on a high heat until the water begins to boil. 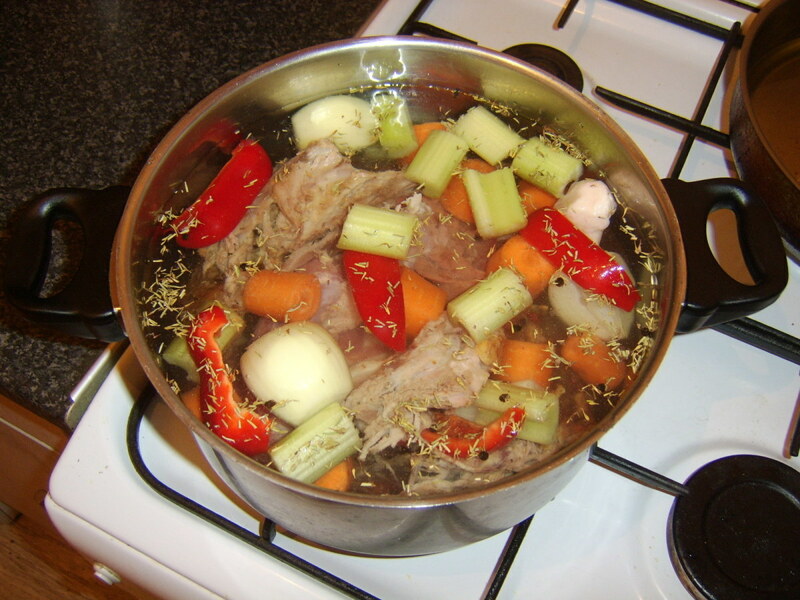 Reduce the heat to achieve a gentle simmer, cover and cook for two hours. Switch off the heat and leave to cool for at least a couple of hours. 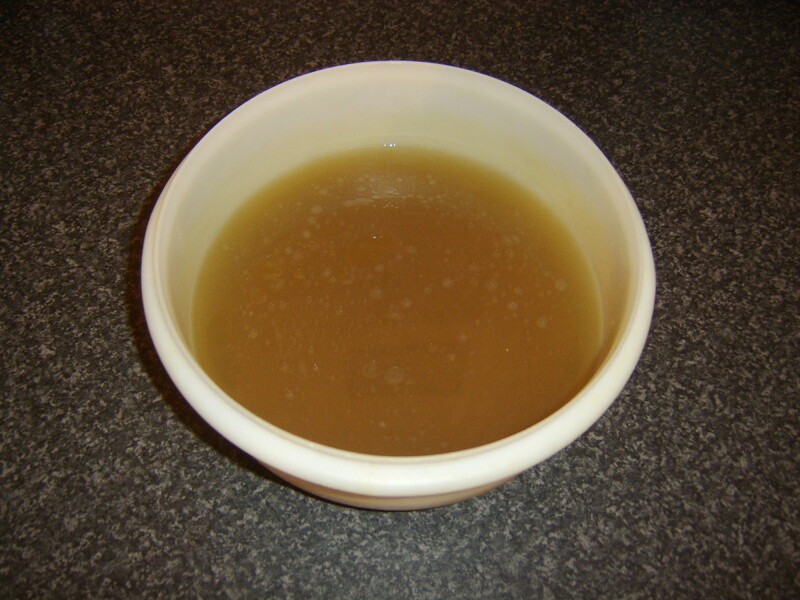 When the stock/broth has cooled sufficiently, use a large, slotted spoon to remove and discard all the solids. 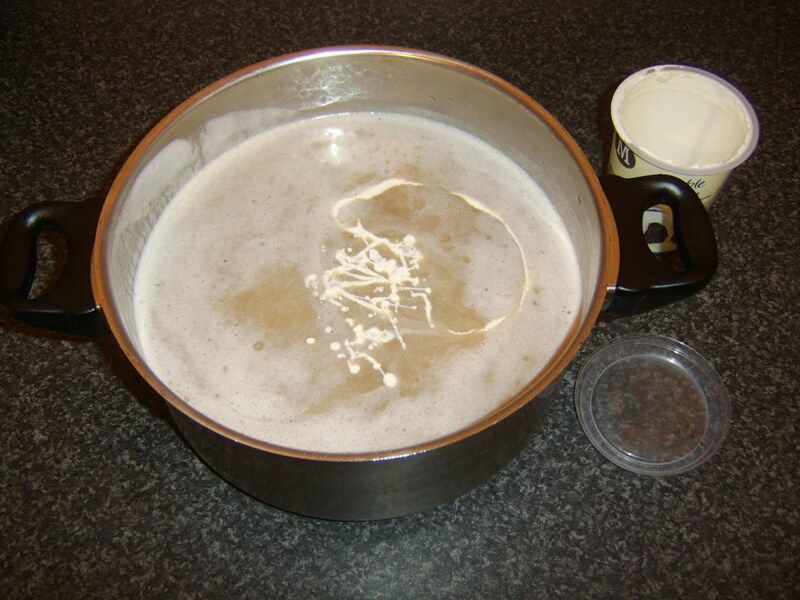 Strain the remaining broth through a kitchen paper lined colander or sieve and the broth is ready to use. Pour the duck stock in to your soup pot. 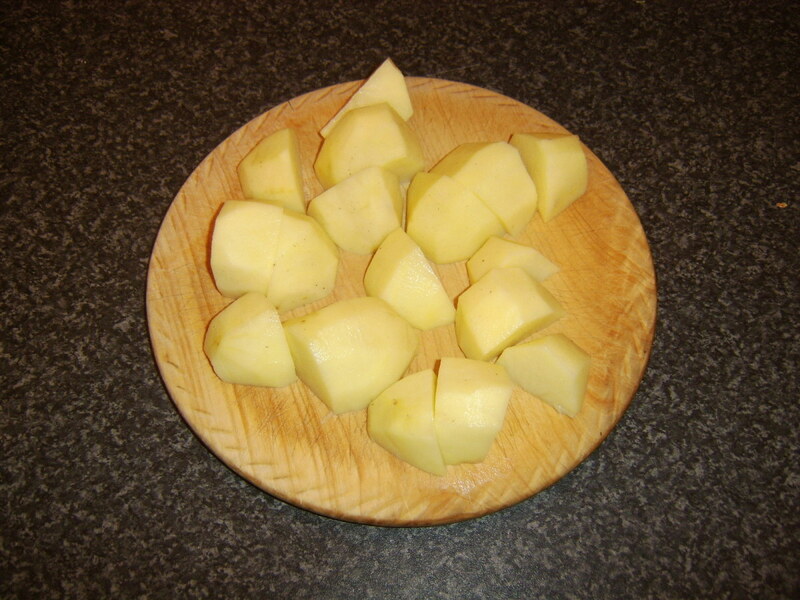 Peel and chop the potatoes before adding them to the stock. 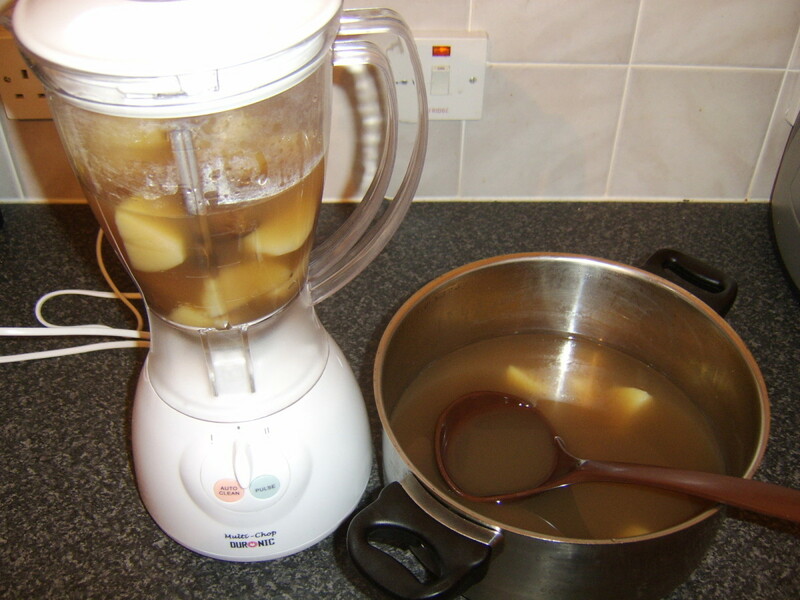 Bring the stock to a simmer and cover for half an hour or until the potatoes are soft. 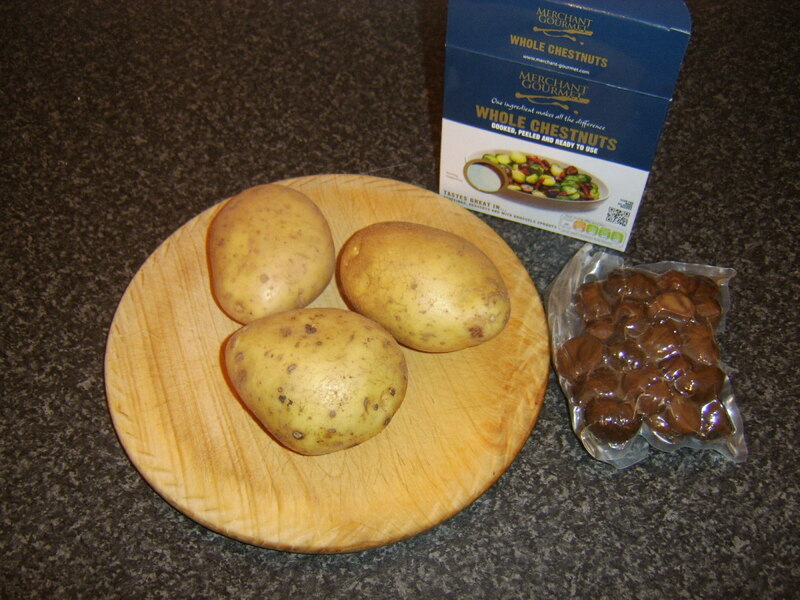 The chestnuts in this recipe were bought precooked, peeled and vacuum packed. 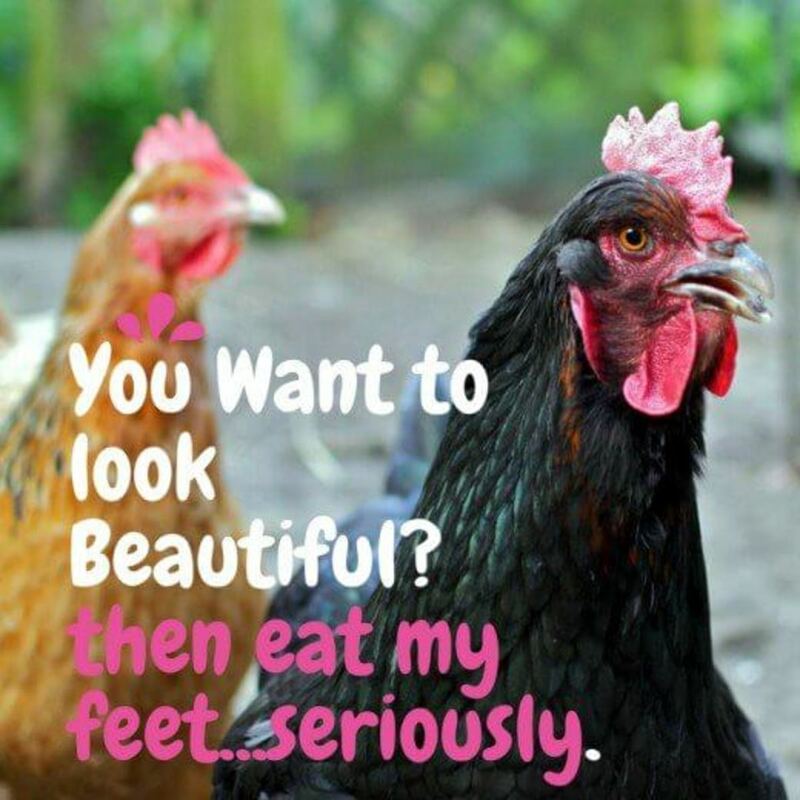 You could if you wish use freshly roasted and peeled chestnuts. Add them to the stock and softened potatoes. Putting hot liquid in to a food processor can cause all sorts of problems. 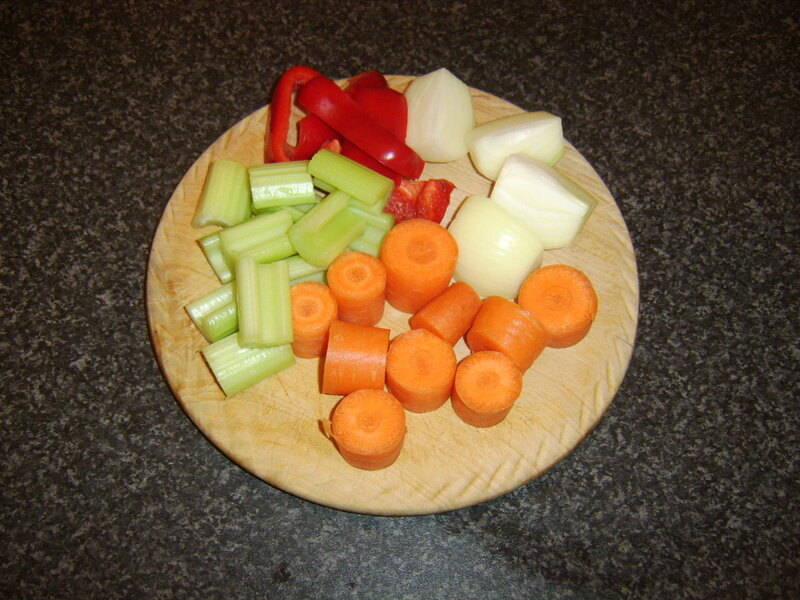 In order to eliminate this risk, simply leave the part made soup covered to cool for a couple of hours. Chop the duck moderately finely and add it to the soup. Heat just until the soup starts to reach a simmer. Do not boil! 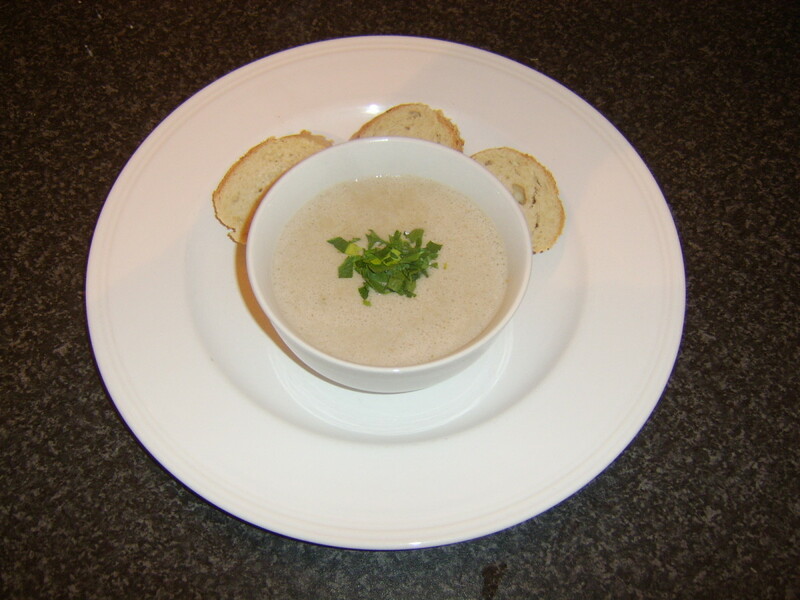 Ladle the soup in to serving bowls. 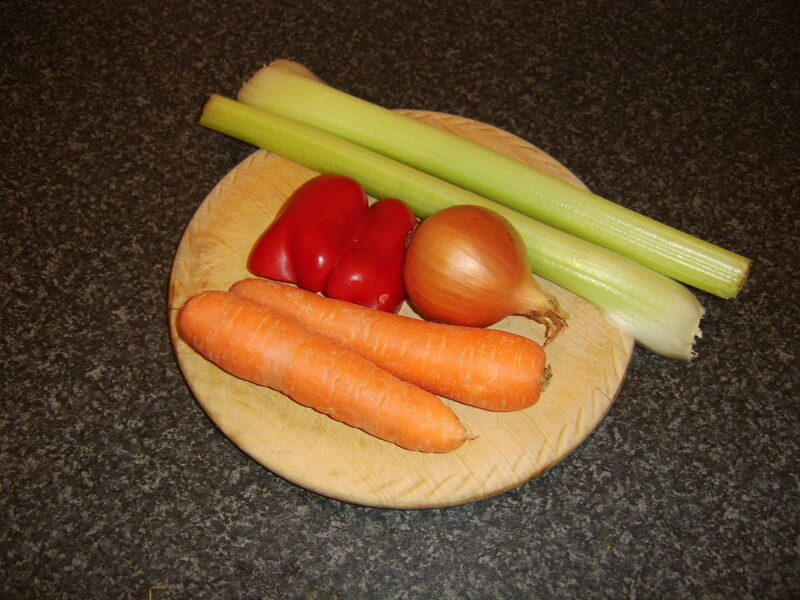 Garnish with the parsley and serve with the bread. Thank you for your informative Hub! 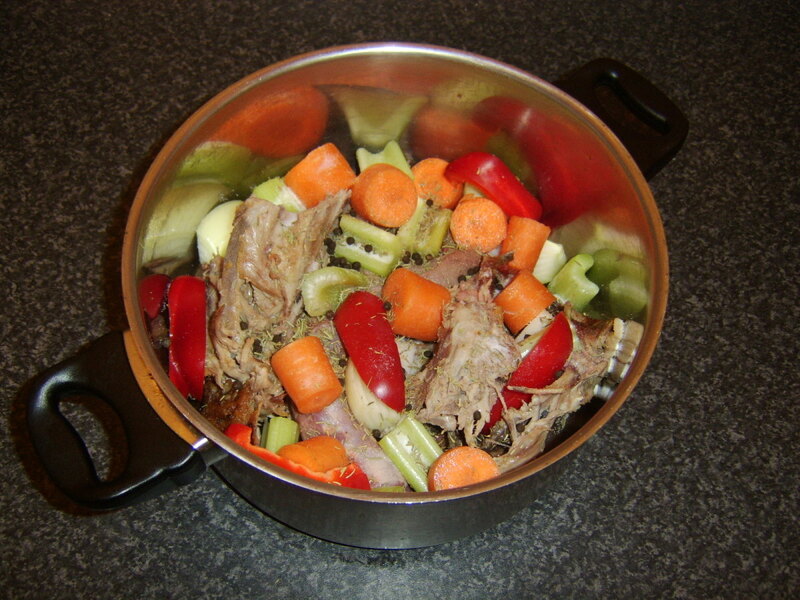 We bought an over eight pound duck on sale after the holidays and cooked, carved & made the broth using your methods! Our duck crisped niceley and we have so much broth! Happy cooking! Hi, Prasetio. Good to hear from you. Yes, love of duck - me, too! Thank you very much for visiting and commenting. Brother, I love your recipe. It sound delicious. Basically, I love duck. Thanks for writing and share with us. Voted up! Hi, Audrey. 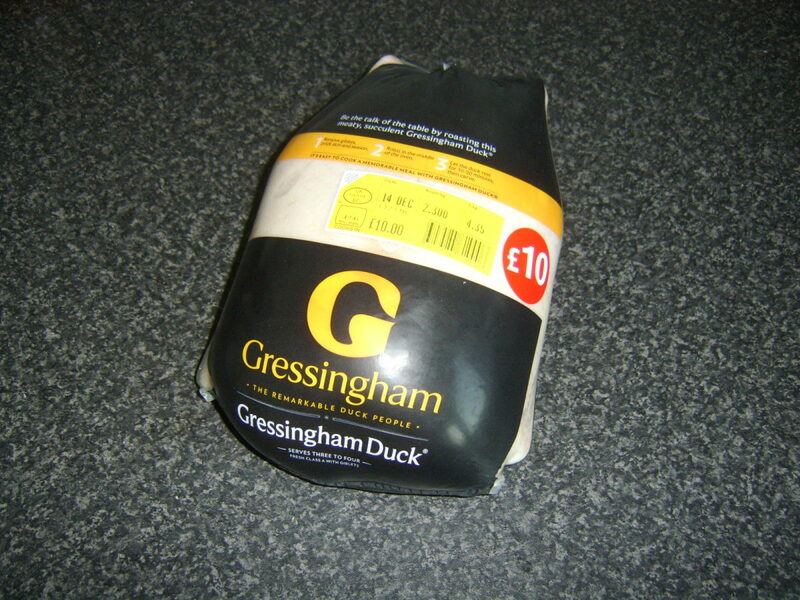 It saddens me sometimes that duck can get a very bad name for being greasy. I've got a good friend who likes every type of meat, fowl or game I've ever heard of with one exception - he absolutely refuses to eat duck. He and his wife both say it is too fatty and greasy. Funny you should mention it: I thought about separating these Hub sections in to different Hubs but decided to go all inclusive instead :) Thanks for your comments and visit and I hope you will give duck another try. I'll probably be getting Duck for New Year's Eve so I think I'll try your method. One of the downsides of my method is that not all the skin ends up crispy - and that is the best part of the duck! I'll let you know how it goes. 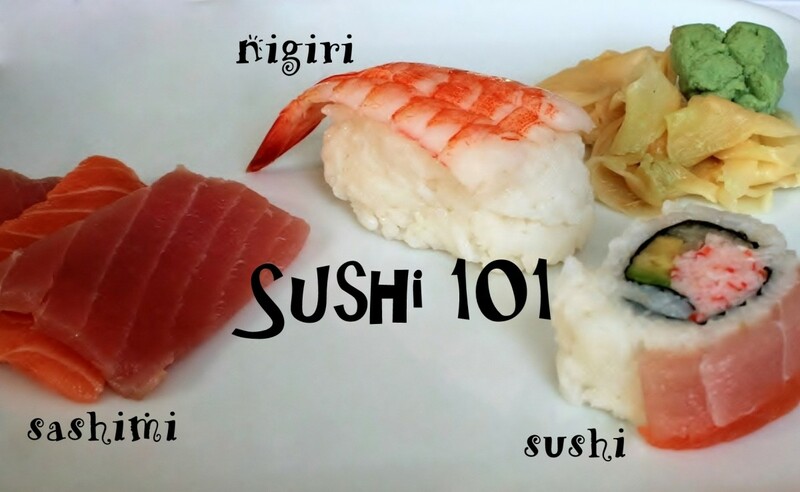 I like the soup recipe - some of my favorite flavors in one soup! Luckily no one else in my house likes chestnuts so I'll have to eat all the soup myself! Hi, Carol. I've been a big fan of duck for a long time but I usually just by breasts or legs individually. Getting the chance to prepare a whole one is always a pleasure. Thanks for stopping by and I hope duck is something you can rediscover soon. Hi, Susan. That's actually a very good point about duck. 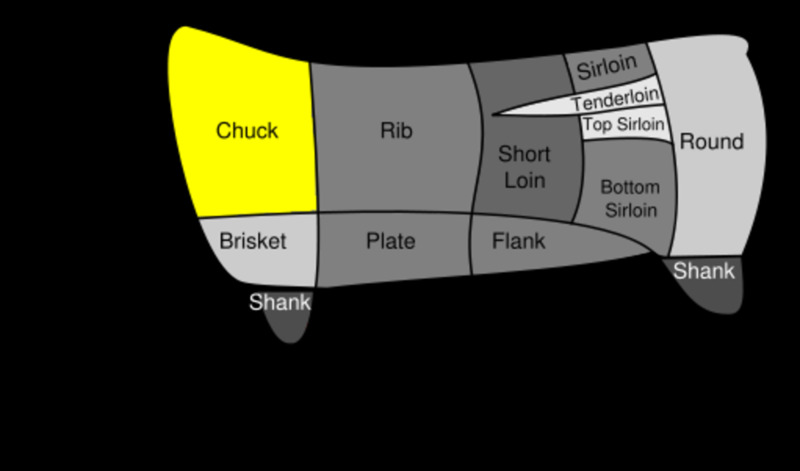 There is a huge difference in quantity between the amount of meat on a five pound duck and - for example - a five pound chicken. Thanks for that, the visit and the comment. I hope you get the chance to enjoy duck very soon. Wow Gordon--that's a ducky amount of info on preparing duck~ I might just have to try it. 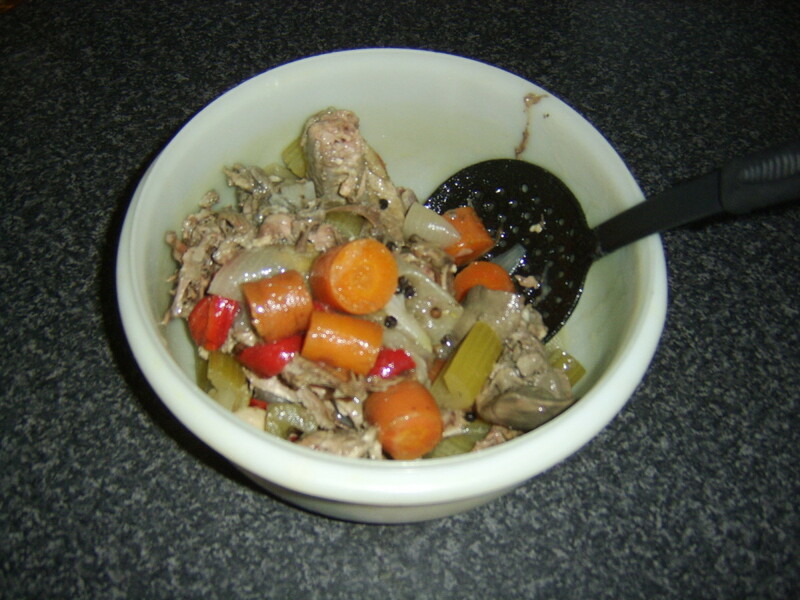 I've only had duck once and I did find it a bit greasy but I don't think it was prepared well. You certainly gave a ton of info--and in fact I think you have about 3 hubs at least rolled into one. Great photos as always too! 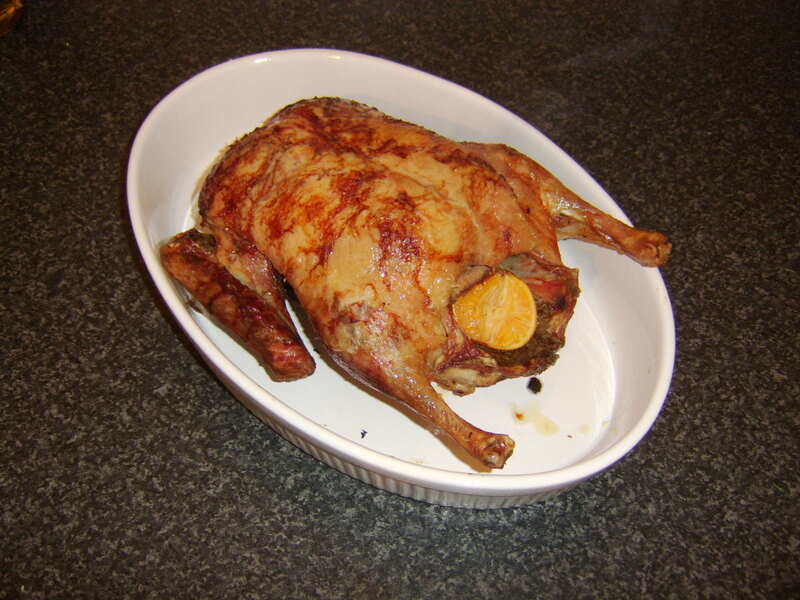 I love duck but haven't made one in years..However I now have renewed inspiration. Thanks for all the great duck information. Yumm! I love duck! 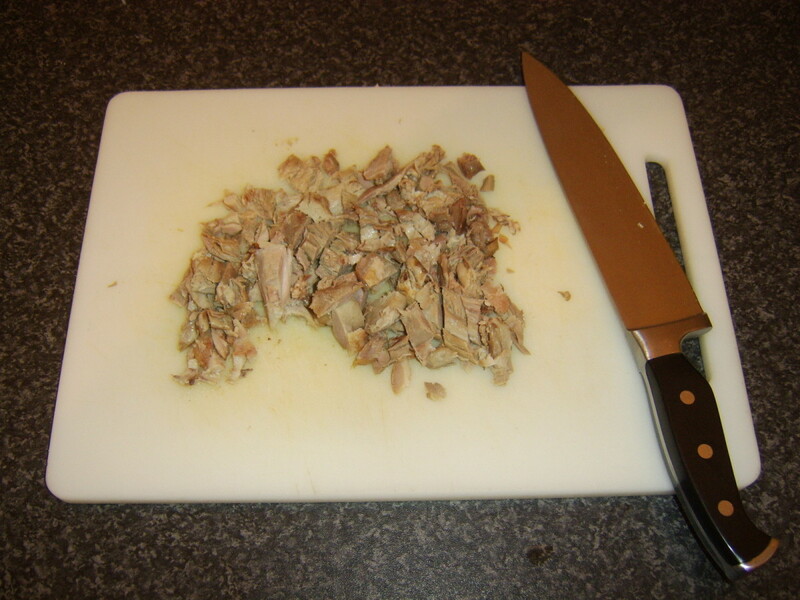 I find that if I take a sharp knife and score the duck deeply every inch then most of the fat falls away and the meat is very tender. Great hub! I cooked a duck once and didn't buy a large enough one a I didn't realize that there was less meat on a duck than say a chicken. Needless to say it went fast and we were all left hungry at the end of the meal. I'll have to have another go at it and follow your recipe. Your soup sounds delicious as well.